Warpaint are a band set apart by subtleties; though rooted in '80s indie and post-punk, their minimalist approach leaves room for small gestures that make a big impact. Replicating that sound live is a tough nut to crack, yet the quartet pulled it off with aplomb during their headlining set. 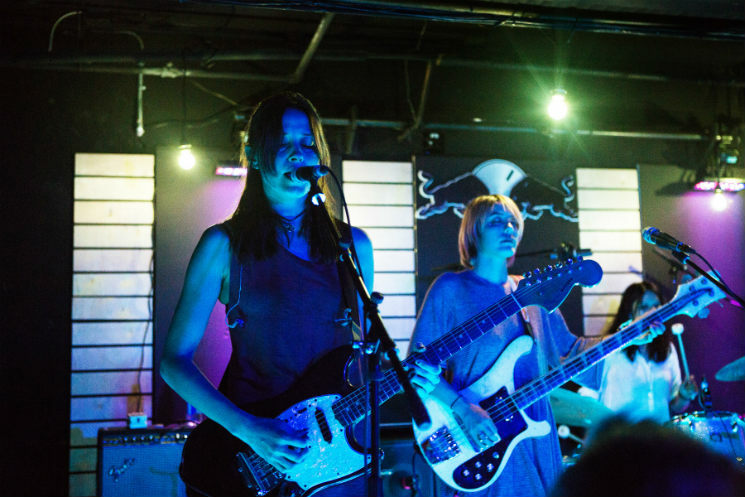 Quickly locking in to one another's playing, the band's rhythm section laid down a groove that would last the majority of the night, leaving singers/guitarists Theresa Wayman and Emily Kokal to lead the way. Wayman admitted that the group weren't "playing out" much at the moment, but you'd never know it based on their tightknit interplay, which can get surprisingly jammy when the band choose to indulge. As on their records, the night's best moments came when Wayman and Kokal's vocals came together, creating a soaring, if vaguely creepy, sound that few bands can match. Despite some dodgy sightlines in the newly refurbished venue, the crowd were ecstatic, lapping up each lick while band members bobbed along. They saved their biggest applause for last year's breakout track "Disco/Very" near the end of the set, its throbbing bass lines proving to be the evening's highlight.